American Furnishings is based in Ohio and everything they build is by hand right here in the USA. Their new line is inspired by America's industrial history, evident in the details on their exquisite furniture. But aside from what they make, I'm in love with their vintage finds - if you are a lover of vintage industrial furniture like I am, then you'll appreciate their selection and the prices are excellent compared to other stores (or even eBay). Example: This vintage cafe chair shown below is $199. 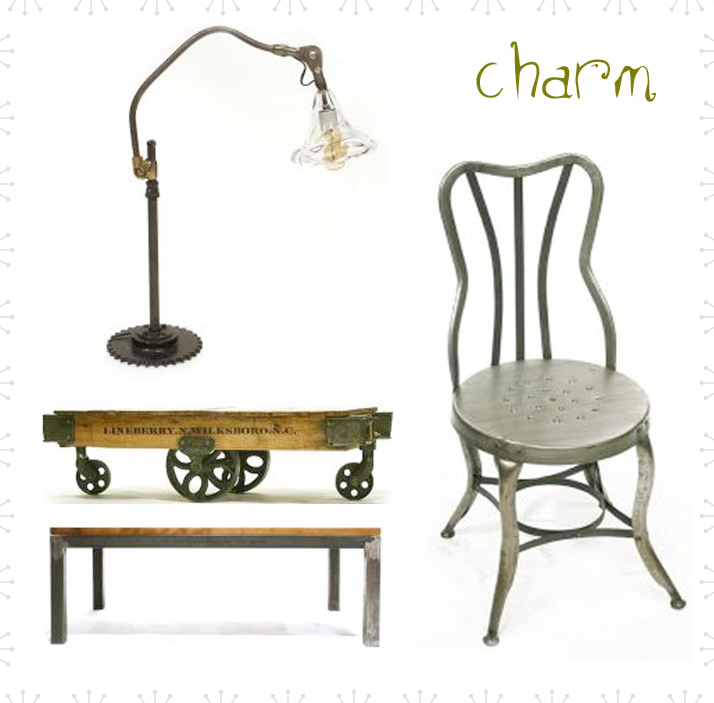 So if you're looking for some industrial finds, whether new or vintage, American Furnishings is a good place to start. Psst: Visiting Columbus, Ohio anytime soon? They have a storefront located at 2017 Polaris Parkway in Columbus.